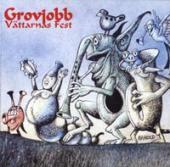 Grobjobs�s "V�tternas Fest" is not a dance party record, except that your mates look like those on the cover. 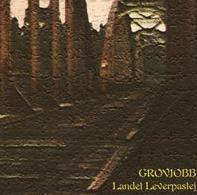 The records starts with quiet and meditativ sounds until the flute comes up. If you loved Jethro Tull, be on your way to the next record shop, if not, don�t worry, it�s not that bad. Bass, guitar, flute and drums killed the singer�s job, so let the music talk. Long soundlines with sitar and tablas let you enjoy the evening after an exhausting day of hemp harvest and a 19 minutes track will lead to sweet dreams.